The wise King Solomon gives us this proverb: "Do you see a man skilled in his work? He will serve before kings" (Prov 22:29). 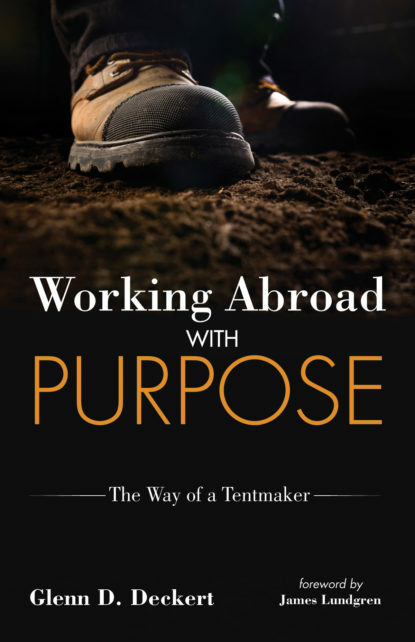 This book won’t ensure that you and your professional skills end up meeting kings, but it will show how you and your training can be planted among unreached people abroad. By taking a job in your field of expertise, you gain far more than a paycheck; rather, a network of relationships with colleagues and neighbors. In doing so, you will learn that you are in good company with the Apostle Paul and thousands of other "tentmakers" in church history. Deckert draws on his tentmaking experience with his wife and children spanning twenty years and six countries. Readers will learn of a biology professor colleague in the Middle East who, on hearing the gospel over lunch, replied, "That’s different. That’s wonderful. No one ever taught me that before." In another country, a nationally ranked chess player, after reading the Gospels, was moved to tears, saying, "He died for me. I’m a sinner." This book takes you through twelve key areas of tentmaking, from finding a job to retirement.